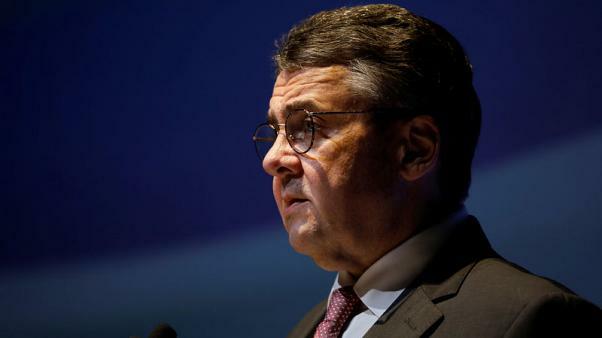 PRISTINA: Serbia must recognise Kosovo’s independence as a condition of joining the European Union, German Foreign Minister Sigmar Gabriel has said. Gabriel said he had given the same message to Serbian officials in Belgrade earlier on February 14. Kosovo, a former province of Serbia, declared independence 10 years ago. The country has been making preparations to celebrate the 10-year anniversary of its declaration on February 17. Belgrade, however, has never recognized Kosovo’s move despite its recognition by 115 other countries, including 23 of 28 EU members. Germany was one of the first countries to recognise Kosovo’s independence, along with the United States, France, and the United Kingdom. Gabriel said his country would help to secure Kosovo’s recognition by the five EU member states that have not yet done so – Spain, Romania, Cyprus, Greece, and Slovakia. Serbia hopes to join the EU by 2025, a date also targeted by Brussels as it looks to bring Western Balkan nations into its fold. Serbian officials have hoped that recognition of Kosovo would not be a binding condition for EU membership. Some Serbian officials have suggested partitioning Kosovo instead. Kosovo’s bid to join the United Nations has been blocked by Serbian allies Russia and China. Around 120,000 Serbs who live in Kosovo still consider Belgrade their capital, and they are financially supported by Serbia. During his visit, Gabriel also urged Kosovo to continue efforts to resolve a border dispute with Montenegro so it can join the EU’s visa-free Schengen travel zone. “I am happy that it is willing to resolve the demarcation issue with Montenegro,” he said.